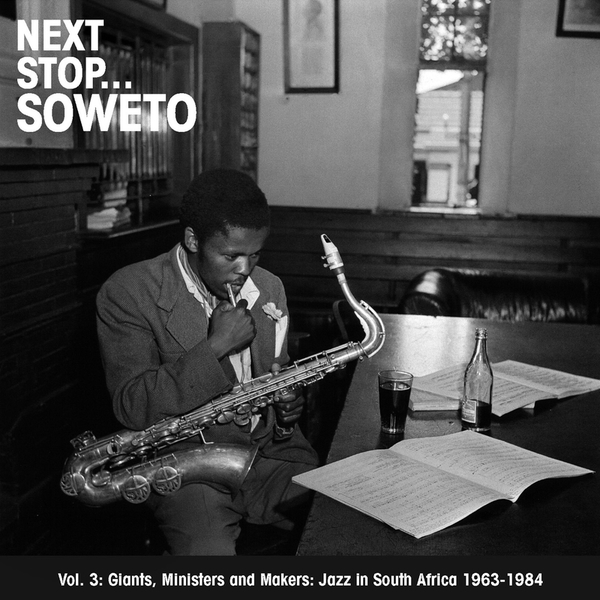 Strut make their third and final stop in Soweto with vol.3 'Giants, Ministers and Makers: Jazz in South Africa 1963-1984'. As with the rest of this series, all music was created under the tyrannical apartheid laws of South Africa at the time, which makes it all the more crucial that it is released to a wider audience now, when we can really judge it against the harsh light of hindsight. Despite major figures like Hugh Masekela and Miriam Makeba leaving SA to live abroad during this period, many stayed in the face of radio restrictions and police clampdowns to make brilliant music like Malombo Jazz Makers gorgeously melancholic 'Sibathathu', which incorporates local Marabi and Kwela to their bop. The Heshoo Beshoo Group's potent soul jazz grooves on 'Emakhaya' and the raw fusion of Malombo's hand drum and guitars in 'Sangoma' or the sultry swing of The Drive's 'Howl' all display a heart that you'll only find in the heaviest strains of worldwide jazz and soul.